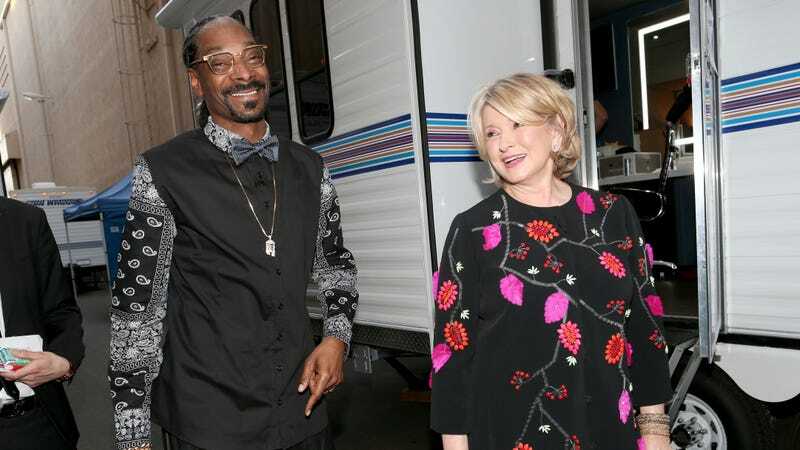 Snoop and Martha are the best because they prove that cultivating new adult friendships in middle age is totally possible, and also because they are each the most delightful people in complementary ways. So of course, it’s always fun to hear more details about how the weeded rapper and the weeding crafter have cultivated their friendship and eventual business relationship. That’s when they decided to start a collaboration and exchanged numbers. “Something was in the air,” said Snoop, cannily. A beautiful union.